Hunter Jackson co-founded GWAR and portrayed the character Techno Destructo, which he created, along with a lot of other imagery that the band used. 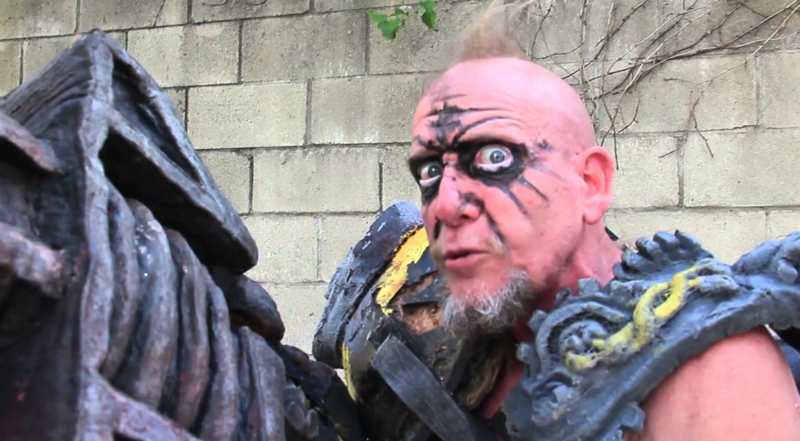 Now, 15 years since parting ways with GWAR, Hunter Jackson is preparing to open an art exhibit at The Thought in Hollywood. The grand opening takes place tonight Saturday September 9th, where Jackson will perform as Techno Destructo, and the exhibit will remain open for a month, displaying never-before-seen GWAR art pieces and much more. Lisa Burke sat down with him for a detailed, exclusive interview on wrestling, comic books, GWAR, art and more. Listen to it below, and if you’re in the LA area, do not miss the grand opening! Listen to “Hunter Jackson (Techno Destructo) interview” on Spreaker.